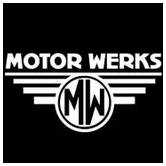 Motor Werks BMW offers a complete vehicle buying experience, from financing to repair services we are the only stop you need to purchase and maintain your BMW. Located in Barrington, IL, we proudly deliver a great selection of new and used BMW vehicles for drivers in the Naperville, Hoffman Estates, and Palatine areas. Call today to schedule a test drive!